Christmas tree themes - C.R.A.F.T. Chrsitmas is still 47 sleeps away, but I’m all for whipping out the Christmas tree early! 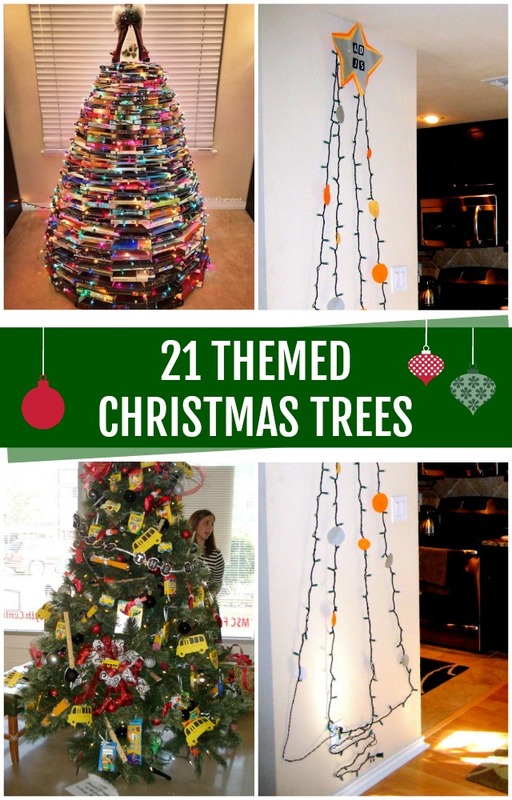 I love a classic Christmas tree, but this list of 21 Christmas tree themes will get you thinking outside of the box (or uhh… tree)! From books to cars to baking, there is something for everyone on this list. 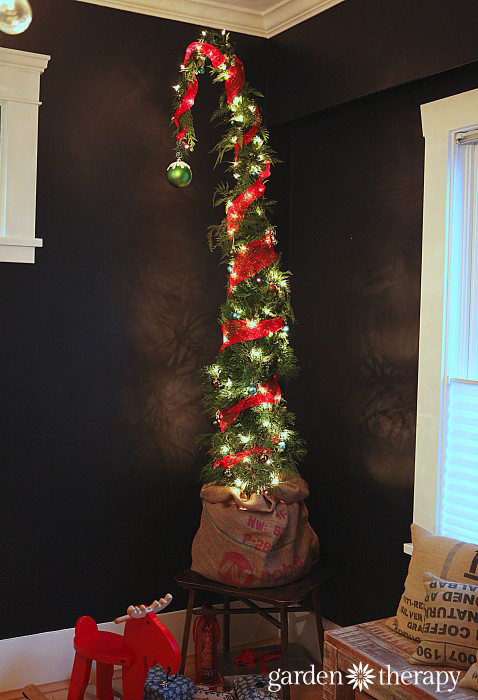 If you have a small space, this one strand Christmas tree is perfection. If you’re on the hunt for a cute Christmas tree, this is it! This adorable tree also makes me want to learn to crochet. I love the multi colored pom pom ornaments. 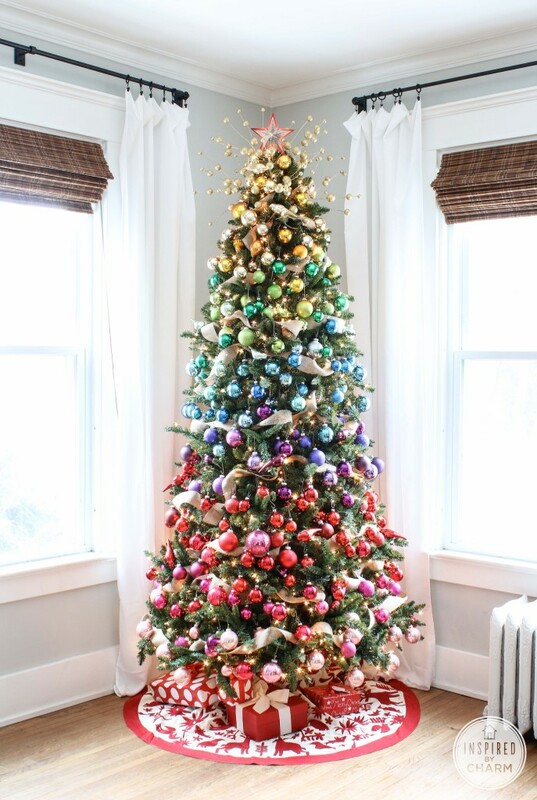 How amazing is this rainbow Christmas tree? I love love the addition of the sunshine bursts at the top of the tree! 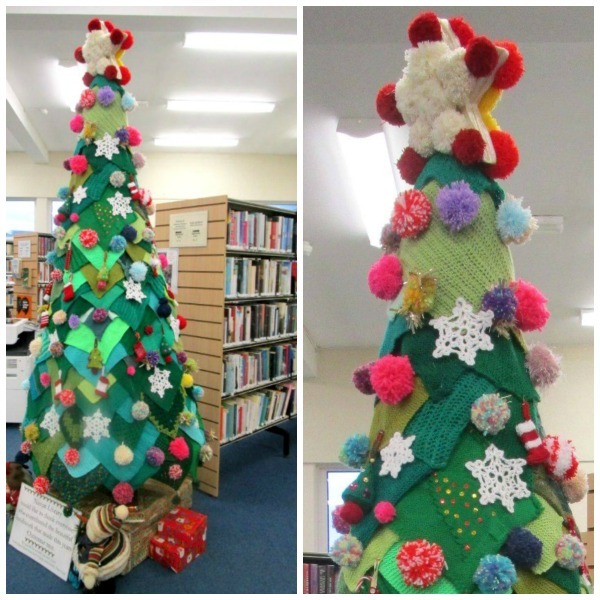 This adorable, modern kids Christmas tree is decorated with felt, paper, and yarn! It’s perfect for kids and pets! 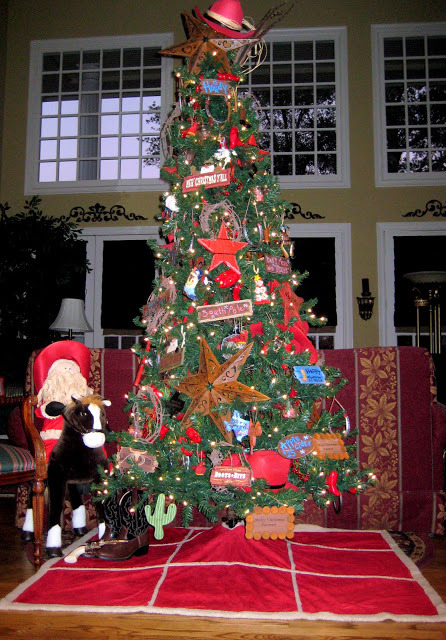 Do you know which state produces the most Christmas trees each year? It’s Oregon! Oregon produces nearly 5 million Christmas trees each year. 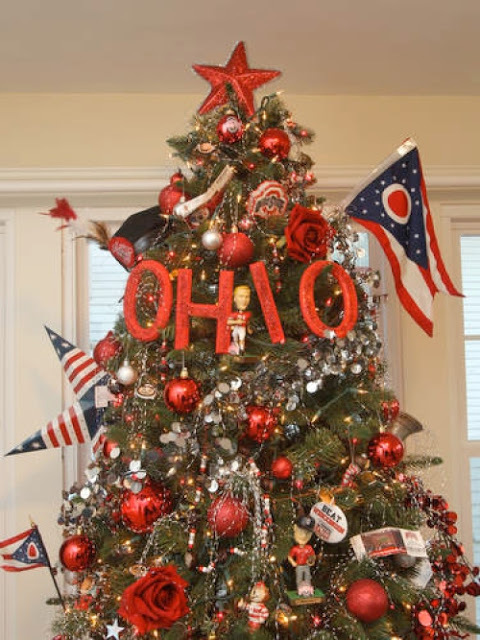 If you love you’re state, here are 4 Christmas tree theme ideas you don’t want to miss. This is my mom’s Texas tree, so it’s extra special to me. My mom and I handmade many of the ornaments and then we collected things like bandanas, toy guns, bells and barbed wire to add to the mix. The tree skirt is a blanket! 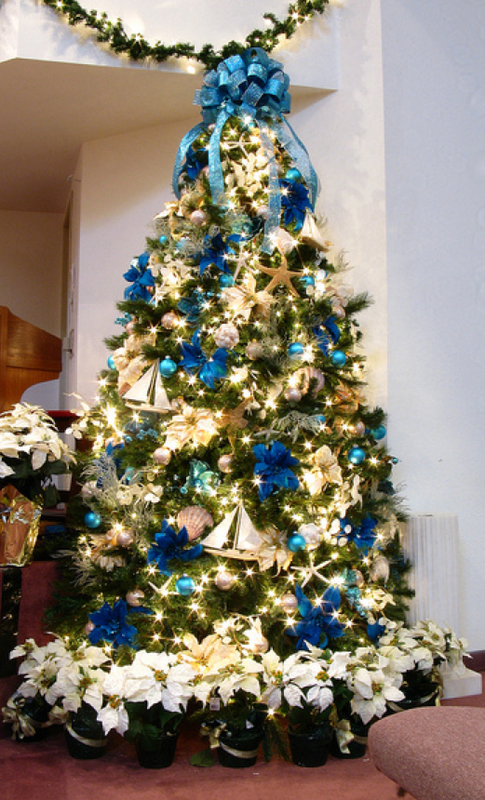 Shells, star fishes, and sailboats make this beach Chrsitmas tree come alive! Consider making some simple beach christmas ornaments out of drift wood or adding sand to clear plastic ornament balls. I also love the wave of white poinsettias in place of a tree skirt. This beach themed tree would be perfect for a Florida Christmas! This patriotic Christmas tree was spotted in my a local non profit called Hero’s Night Out. I love the idea of adding more red and blue stars, flags, and sparklers to take it up a notch! Most of Andy’s extended family lives in Ohio and their love for Ohio State is big. Just add a few buckeyes and this Christmas tree is perfect! This would be such a cute tree for a school or classroom! Best part? You likely have most of the ornament materials on hand! Crayons, markers, and glue sticks can be used to decorate the tree for December and then used to craft with come January. I also love the little paper cut out school buses. Cookie cutters, peppermints, and gingerbread cut outs would make great additions to a baking themed Christmas tree! Black and white checkered everything plus simple red ball ornaments will make any car lovers Christmas tree dreams come true. Stephanie turned a 5′ tall cedar hedge into this Grinch Christmas tree masterpeice! It’s perfection! For the complete tutorial, check out Garden Therapy. 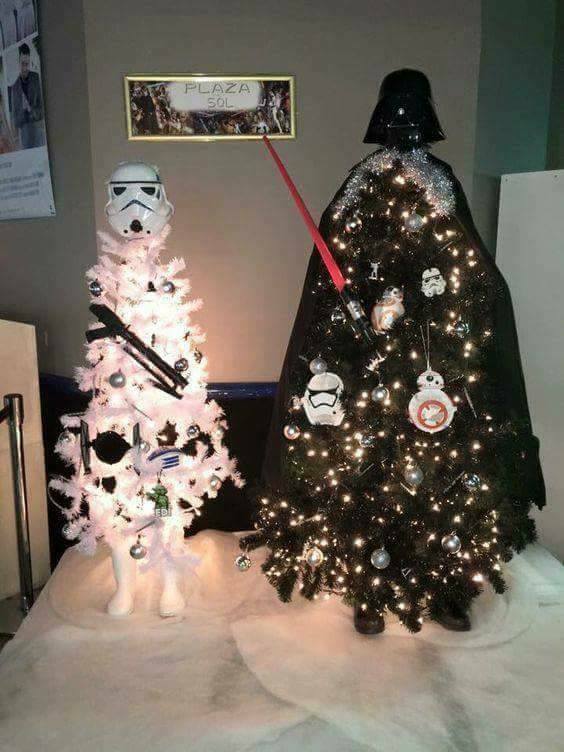 If you’re a Star Wars lover, these trees are perfect. Bonus: Halloween masks double as tree toppers! 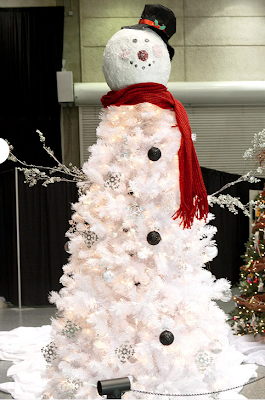 If you don’t get to make snowmen where you live, this snowman Christmas tree is perfect you! 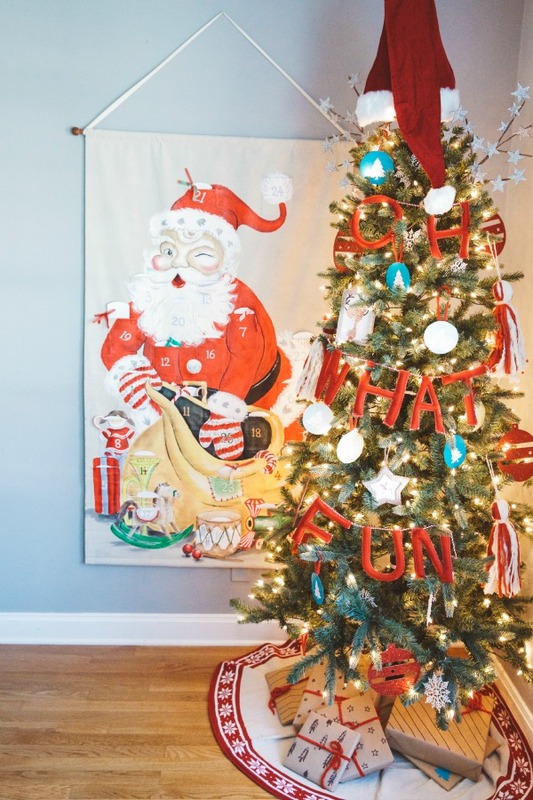 This is such a clever christmas tree theme idea! 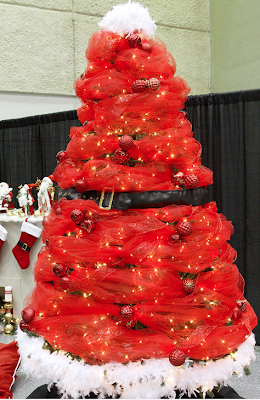 Simply wrap a green Chrsitmas tree in red mesh ribbon and add a black belt to the middle. Genius! 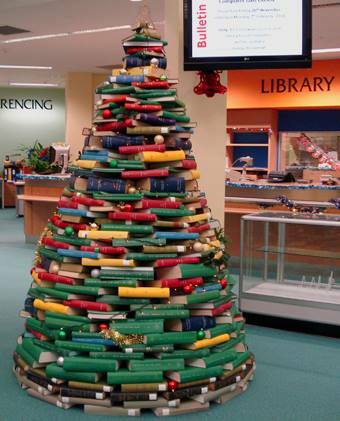 This book Christmas tree is perfect for a library, classroom, or the book lover! I would love a small version as a table top tree in my house. 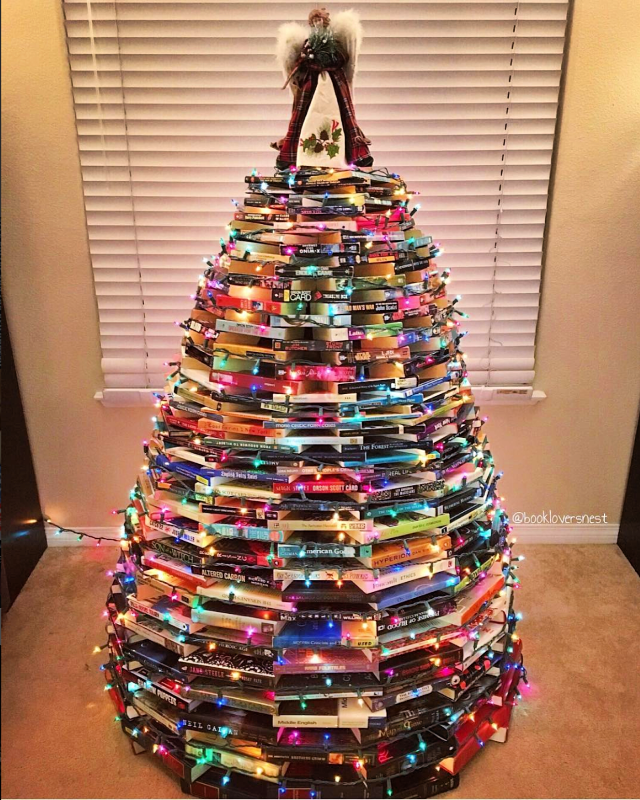 Here’s another version of the book Chrsitmas tree made by bookloversnest because I can’t help myself! Put that leftover Halloween candy to good use and make a candy tree! 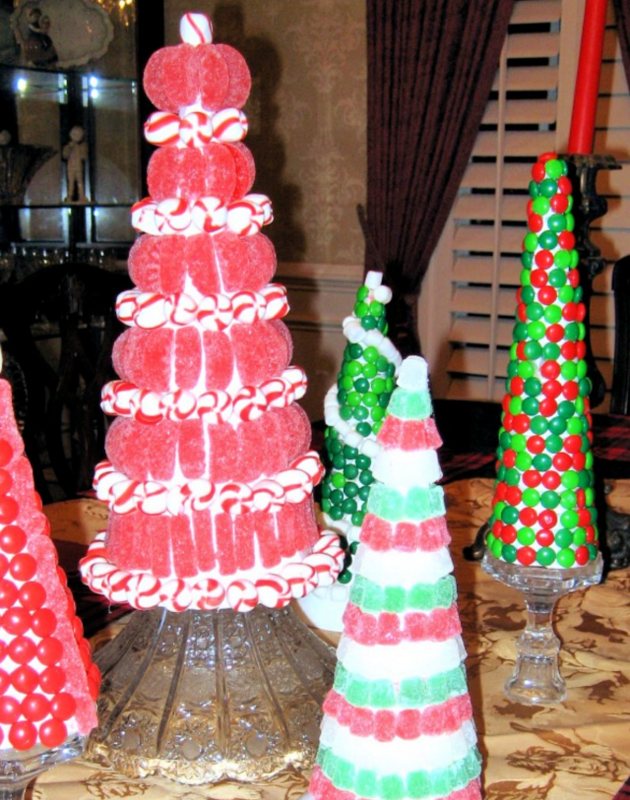 All you need is white poster board and a hot glue gun to whip up these tasty trees! 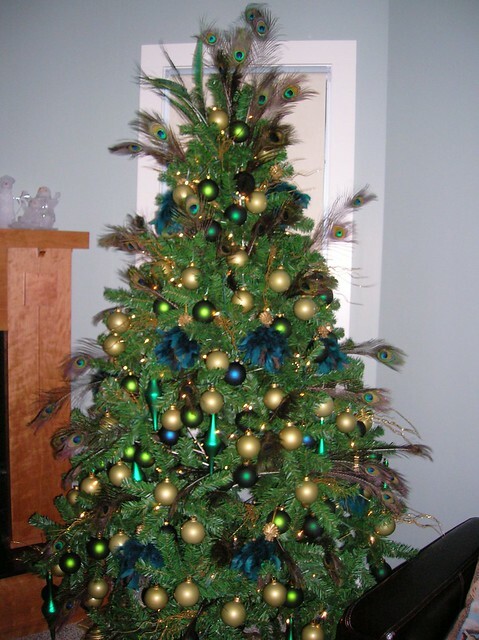 Simple and sassy, you can’t go wrong with peacock feathers and a blue and green themed Christmas tree! This is another one of my mom’s awesome Christmas tree themes. We made these cute picture ornaments out of foam board and old school pictures.We even adde tiny real picture frames to the tree. 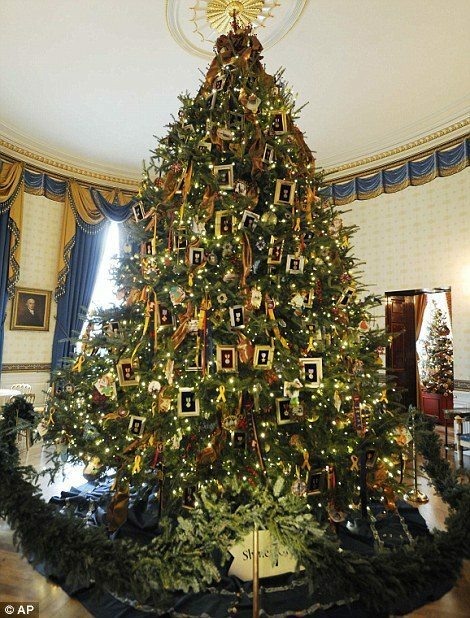 It is also fun to note that the White House has created a themed Christmas tree since 1961. Jacqueline Kennedy started the tradition with a Nutcracker Christmas tree theme. 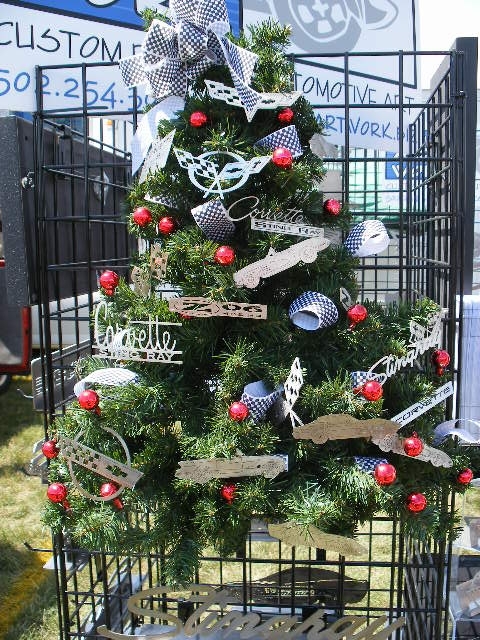 The tree below is from 2011 and represents the theme of “Shine, Give, Share“. 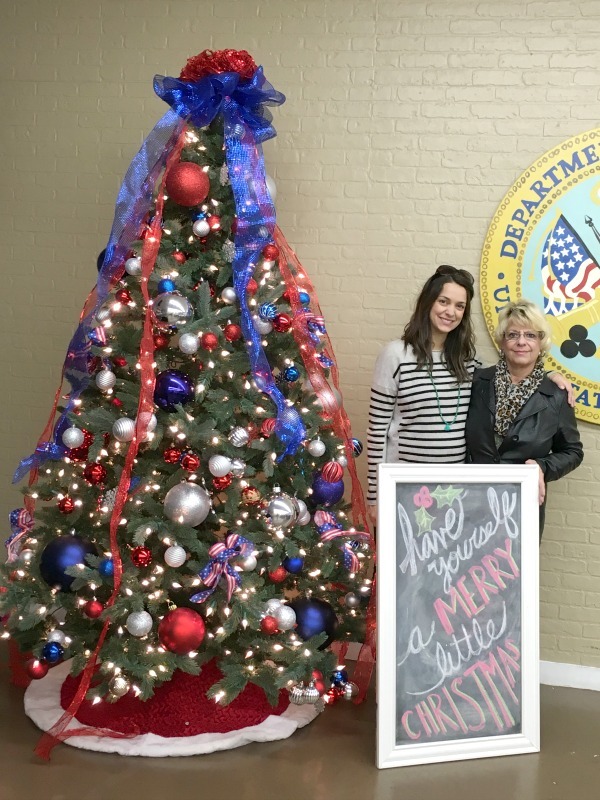 The tree was decorated with cards written by children of U.S. military members and covered in military memorabilia. Have you ever put together a themed Christmas tree? Which one of these Christmas tree theme ideas is your favorite? 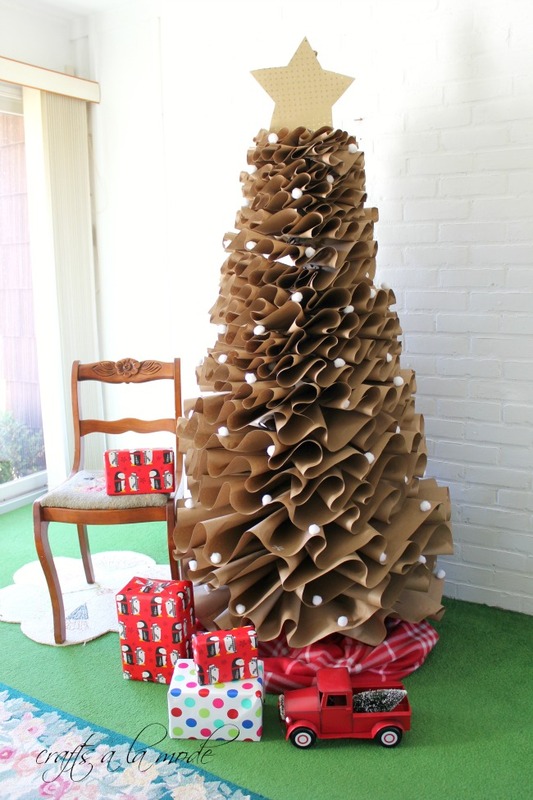 I’d love to hear… If you like these, check out 19 more Christmas trees made out of unique materials like ladders and egg cartons! I do so love me a theme–I think the Yummy Tree is my fave from your list–suits my eclectic nature these days. Last year our tree theme was "tacky"–we have a million and seven ornaments so we took only the tackiest and put them on the tree. I think that the favorite themed tree was one that I did at my Hair Salon. I did it with old hair products, hats, cosmetics and such. 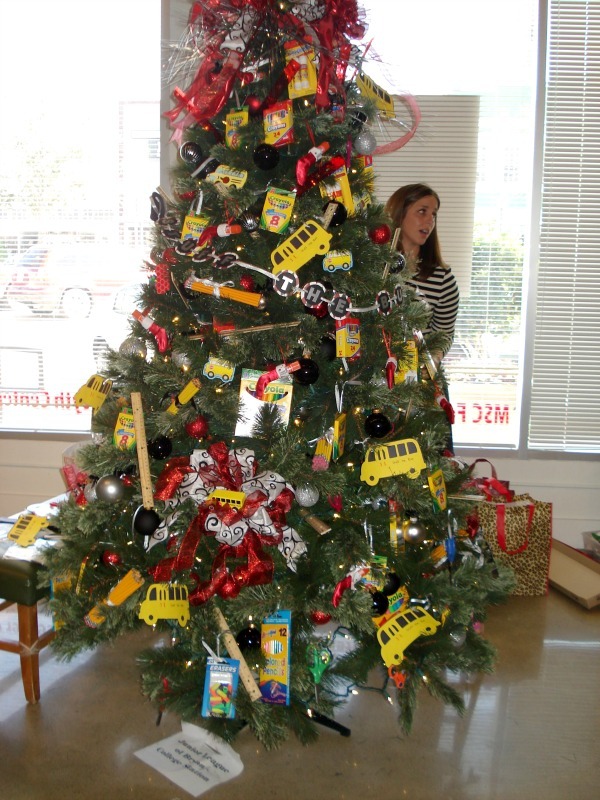 One year I did one with a 50’s tree with turquoise cars, poodle skirts, hula hoops and records. I could go on and on because everytime I get an ‘IDEA’ I want to go with it but, how many trees can I get in a house? I’ve never had a themed tree … unless you count “covered in children’s homemade ornaments” as a theme. 🙂 I love that upside down tree! So pretty! Thanks for the inspiration! You’re welcome, Emily! Thanks for checking out C.R.A.F.T.! this has been my favorite collection. I love the Asian tree, and the sailboat and I liked the White House tree idea – they were all great -oh yes and the inverted tree was fun- thank you for sharing . When my sister and I got older and didn’t mind my mom getting rid of our homemade ornaments my parents had a red, green, and gold themed tree. It had a lot of music related stuff on it too. Before Hubby and I had kids, our theme was different shades of blue and white with various snowman. so so beautiful! I love this ornaments!